When my boys were little they were fascinated with anyone in uniform. They loved talking to policemen and firemen. Those men and women were heroes in my boys’ eyes. I think it’s important for our little ones to know who the people are in their communities who are there to keep them safe. Here is a small list of books about community helpers that they are sure to enjoy. Whose Tools Are These? – Describes some of the different kinds of tools that workers use. Jobs People Do – Jobs People Do is the book for helping children find out all about the careers that interest them. I want to be a builder, firefighter, veterinarian, paramedic, mechanic, musician…Here is the book to help me choose. Entertaining text and photographs of real children dressed for each hob help youngsters explore 50 different careers, from chef to scientist. Pages also detail the duties and training required for each one. Community Helpers Coloring Book – In this lively coloring book, youngsters are introduced to helpful people in their community. Thirty drawings depict a school bus driver, librarian, doctor, nurse, mechanic, firefighter, police officer, teacher, and other important people. An informative, rhyming caption accompanies each illustration. Whose Hat Is This? – Describes some of the different kinds of hats that people wear. Helpers in My Community – Introduces children to the important people who make our communities cleaner, safer, and better. Clothesline Clues to Jobs People Do – Look on and below seven clotheslines and spot colorful items, including the mail carrier’s uniform, the artist’s brushes, and the chef’s apron. Then turn the page to learn which professionals wear and use the special gear in the jobs they do. Community Helpers – Simple sentences let even the youngest reader feel confident reading on their own. A technology challenge at the end. Whose Hands Are These? – If your hands can mix and mash, what job might you have? What if your hands reach, wrench, yank, and crank? The hands in this book—and the people attached to them—do all sorts of helpful work. And together, these helpers make their community a safe and fun place to live. 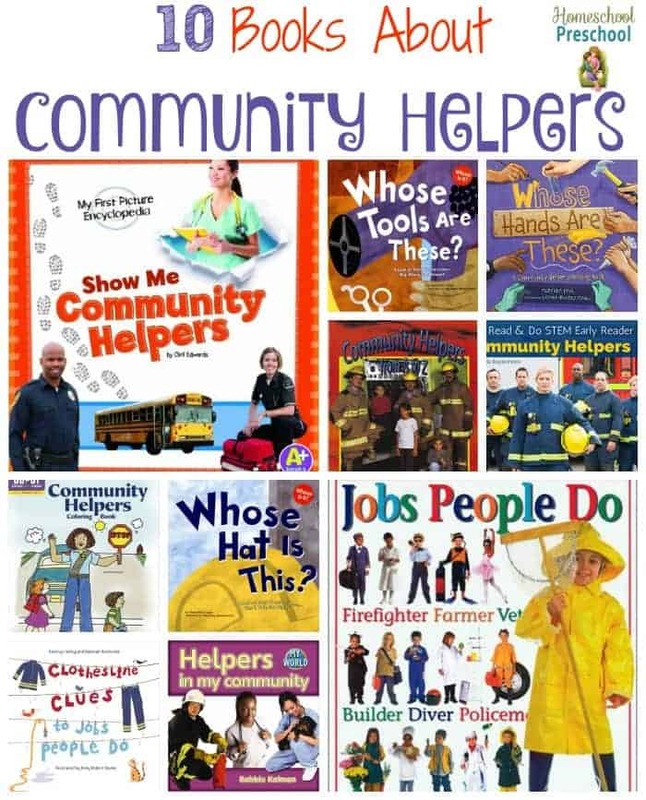 Show Me Community Helpers – In Show Me Community Helpers, kids get a just-right reference book about important people like fire fighters, police officers, doctors, and teachers. Tons of facts and photos teach kids about community helpers and the ways they help us every day. Community Helpers from A to Z – Let’s meet people who make our communities cleaner, safer, more pleasant places to live.